The D&C was three days ago. I don’t really know what to say — I went into the surgical suite technically pregnant, and I left empty. I wasn’t really prepared for all the feelings, both physical and emotional, that would follow. It’s been a difficult three days. It’s felt more like three years. I was so angry, and now I’m just sad. So, so sad. What do I do with all this sadness? How do I go on when my heart is so heavy with loss? I don’t have the answers. I’m trying to let myself feel all of the feelings. I’m trying to be gentle with my heart and my body. I’m trying to find some peace. None of these things are easy to do. I’m called to write. I’m called to sit on the shore and let the sound of the waves still my mind. I’m called to understand why this happened. I’m called to remember the sweet baby who we lost so soon. I was reminded the other day of the six-word novel attributed to Ernest Hemingway — For sale: baby shoes, never worn. I have a pair of knitted baby shoes that will never be worn. 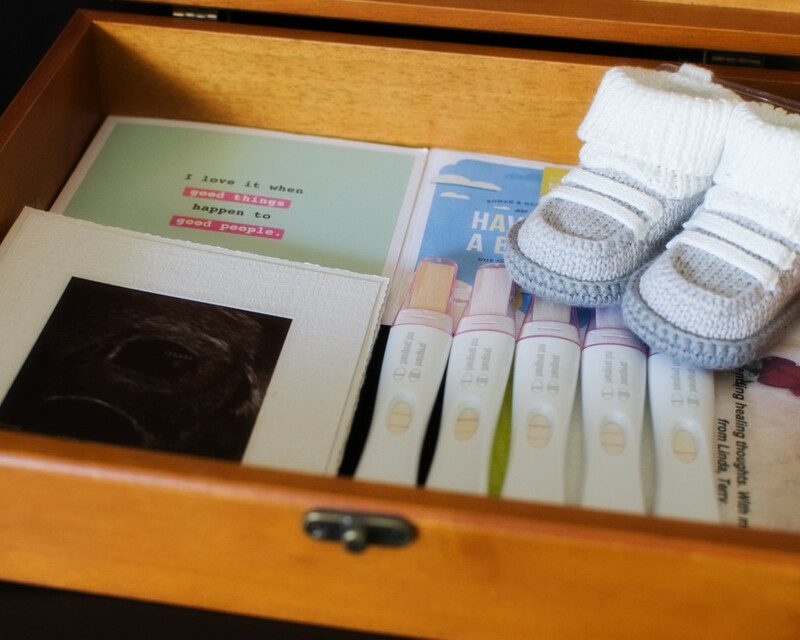 I put them in a box yesterday, along with the ultrasound picture, and the pregnancy tests, and the card from my sister, and all of the little mementos of this pregnancy that I had collected. I couldn’t close the lid. I did, finally. It felt strange. This tiny, wooden box is all I have of a whole life. A life that was dreamed of and hoped for and wanted so very badly. A life that will never be realized. Just a flutter on a screen.